I do believe that if I have the nerve to publish words about the lives of others, I should at least be willing to share not only who I am, but what I think. More importantly, even though I have, through the years, become increasingly comfortable with who I am, I have been—and still am—more than willing to re-examine, reject, re-open, remove what I think. This page, therefore, might be updated more often than not. Not only do I not apologize for that: I think that’s a good thing. In no certain order, then, here are my “philosophies.” Browse through them, comment on them, ignore them as you wish. As always, all thoughts you might have will be considered seriously and, whether or not followed, appreciated. In the current missions both of Paving the Road Back and of Beam Me Home, Scotty!, I have made the specific decision to be neutral as to treatment approaches. Longer-term readers of my blog may be surprised at that, as I’ve not always been sanguine, shall we say, about certain treatment approaches. “It is what it is,” so the soldiers of the United States Army often say. “I am who I am” now evokes a similar sense of resignation that should perhaps be anything but—but is not. It is not that I do not have opinions about what treatments can work best as combat veterans seek to improve their lives. In this world of too many suffering veterans and too few resources, though, I no longer see my task as being one to critique. All are doing the best that they can, with, truly, few exceptions. I will leave it to others to work out Plans B through Z’ for improving treatment approaches. I’ve been surprised often enough through my thirty years of practicing psychiatry: I’ve certainly learned that what may not impress me much today might become my reason-for-being tomorrow. It is what it is. We make do with what we have. I ain’t got all the answers. I believe that many failed treatments result from either 1). a therapist’s inability to tolerate the force of many a combat veteran’s anguished emotions or 2). a therapist’s inability to deal adequately with the realities of the time constraints imposed on many treatments because of the very administratively-overburdened world I mentioned above. Still, I also believe that therapists (myself included) can, when committed to doing so, improve sufficiently, case by case, so that combat veterans can indeed find their ways to move forward. I hope that the blog, along with Beam Me Home, Scotty!, can play their part in that hope. So if critique is no longer a calling for me (if it ever was), what is? The older I get, the more the answer becomes clear to me: understanding and encouragement. How often we civilians are exhorted to thank combat veterans for their service. Sadly, some such thank-yous often have little more oomph behind them than do well-timed Gesundheit’s. For me, to serve means to decide. One looks inward as well as one can at any moment, sees what one has to offer, and then decides to offer it. At some point in their lives, combat veterans looked inward, saw that they had strength, energy, and devotion to offer—and so they did. No matter what any individual combat veteran might think of such a decision in light of all that has happened since then, each said at one critical moment, “I want to be, I need to be more than I am.” And they decided, in whatever way they could, to become so. I say it over and again: for that moment, I thank each of them. Quite sadly, some of their voices I will not hear again. Perhaps it is in their memory that I continue to offer a voice, whether it whispers or not: a voice that tries to encourage as it tries to understand; a voice that can still be wracked with the pain that comes from knowing that understanding and encouragement, at times, cannot be enough to erase the agonies of War; a voice that remains grateful when it can at least ease some agonies nonetheless. I am well-aware that War, Faith, and Politics have been sipping their 6AM coffee at the local diner every morning for millennia. I cannot claim to write and speak about the after-effects of War and then act as if I’m above the other two cronies ensconced in that figurative booth. In law school, one learns from Day One that, at least for American injury law, every tortfeasor (injure-er) must take his victims where he finds them. I do hope I’m not injuring more than I’m helping. Nevertheless, I take my patients where I find them as well. While it might be easy enough to cry contributory negligence in American combat veterans’ cases (“Hey, no one forced you to sign up for the military!”), I fail to see much relevance to that defense when a soul is bleeding out right before my eyes. For come to think about it: I am, indeed, a tortfeasor. As a functioning member of my society, with all the privileges that I have because of my race, gender, and economic advantage, I, me, myself sent the combat veterans seated in front of me, whether in my office or on Internet-infused computer screens, to a war, to wars, to War. No matter whether others can pull off adequate self-exoneration for themselves, I cannot for me. I have worked—and continue to work—with combat veterans who sport their patriotism with defiant pride, with combat veterans who despise their government and even their military service, with combat veterans on the Right and on the Left, with combat veterans adamantly religious and adamantly atheistic. I don’t hand out questionnaires beforehand to provide me information to know how to plan out the ideological and/or religious rehabilitation some seem to require in order mark such combat veterans as “worthy” of anything more than a quick, emergency triage and then a psychic up-and-at-’em-boy. I am who I am. There’s only so much critique I can forsake. I leave the great Truths to others. I have too much work to do otherwise. If that is moral cowardice, so be it. Those who followed the blog in the past know that the past few years have been more-than-lean in their offerings. There are two reasons for this, one of which I must finally state in public. First, let’s get past the obvious one: Of course I’m busy. We’re all busy. That has been a point, but not the point. More to that point, I have come to believe that it is ethically sketchy for me personally to tell the stories of modern combat veterans. I say that even though none of the veterans whose stories I have told even for a moment questioned my writing of our interactions. Quite the opposite: often they met me with shock—and even a few tears—that a psychiatrist even took the time to listen to them. That does not speak well for the current state of my profession, of course. Yet that is somebody else’s battle cry to pick up. Or not. Indeed, I do believe that whatever power lay in my blog posts lay in the very truth of what I did try to convey: these men and women affected me. They made me laugh. They irritated me. They touched my heart. A few, to this very moment, bring a tear to my eye in the middle of typing at a Starbucks, knowing that there will never again be an opportunity for a coffee and a what’s-up between us. I feel no need to apologize for that. Yet by making our personal interactions so public, even with their blessing, I am, in a way, saying that I can extract enough from their words to speak a truth about them and not just about me, that I can add my words to their experiences and somehow publish something that says something truthful about War. I do hope my words have said something truthful about caring. I question whether they have ever said something truthful about War. In other words, I have to clean up my own house before I can take you on a meaningful tour of theirs. There are worse things to say. In this blog, I try to provide service professionals (e.g., mental health clinicians, physicians, attorneys, educators) in the broader community a deeper understanding of the psychological, social, and spiritual challenges faced by veterans returning to civilian life after serving in combat, so that professionals may more effectively “pave the road back” for these men and women to have meaningful lives relieved of the pains of their past and opened to the possibilities of their future. To do this, I try to listen as carefully and as openly as I can to combat veterans, to their sufferings, their regrets, their pride, their camaraderie, their challenges and their hopes, both in person and in correspondence. My goal is to document as faithfully and as deeply as I can what they tell me and what others are trying to do for them. Given that, I welcome all input, but especially input from the men and women who served. Please feel free to comment, critique, ask questions, suggest, whatever. It is a privilege to be a fellow professional with many of you. It is even more a privilege to work with each of you who served, and if I can be of help in spreading the word for each of you, I am most grateful. 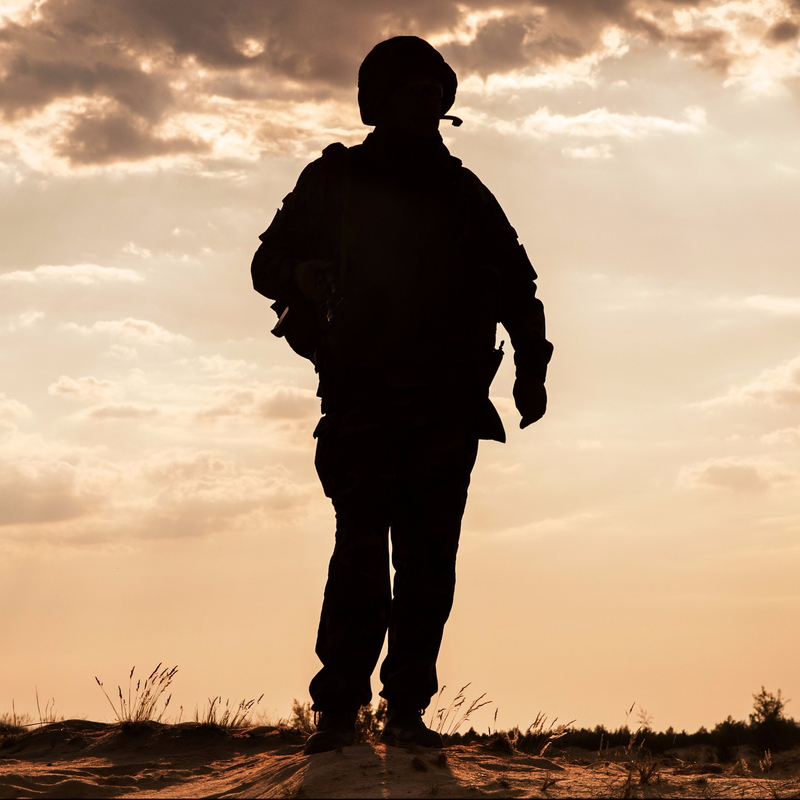 Please note: if ever I post about an encounter with a veteran, know that I have written a fictional account, but one that does reflect my encounters with the men and women who have bravely shared with me. My name is Stephanie Pieper and I am a high school student working on a project to aid veterans with PTSD. I began this project while researching how I can aid veterans in any way, as it is something that has always been dear to me. When I came across PTSD, I was frankly surprised that I had never heard of the epidemic that such vast amounts of soldiers and veterans face. The facebook page I have created (http://www.facebook.com/VeteranswithPTSD) is the first step I have made in my efforts in this cause. I am trying to raise awareness among my fellow classmates and community because I have found that many are unaware of the disorder. I am now reaching out to veterans, families, and friends effected by PTSD, like yourself, to deepen my understanding of what I can do to make a difference. If you have any advice for me as for what I can do to help veterans, it would be appreciated. What drove you to start a blog? What motivates you to work with veterans with PTSD on a daily basis? What is one thing you would like my generation to know about PTSD? Thank you for taking the time to read this and I sincerely give you my best. The work you do to help veterans is truly incredible. thanks to Mr. stephanie pieper….. for sharing this information service professionals and Broader Community…. paving is connect , what an real way…. I’ve started checking out your blog and have loved it..thank you so much for caring so deeply and trying to help our veterans. My husband is a retired marine infantryman and saw combat in Iraq. He has PTSD and possible TBI. My blog is focused on trying to promote awareness of our veterans with PTSD as well as their spouses and families who also go through a lot having to walk this journey with them. In it I am sharing our personal story and struggles, some posts are more focused on feelings and struggles while having to help and watch him go through this but others and most posts have details about what he has gone and goes through. You might find it interesting (maybe even helpful but while I’ve only experienced my husband’s PTSD intimately and you have probably experienced countless military personnel with similar issues it may not be of much use) regardless, I plan on getting my degree in psychology after my recent enlistment and my dream is to spread awareness and focus my future career on helping military, veterans, and their families. I look forward to reading more of your blog and learning from it! Keep it going bro. Just getting my combat blog started. fobwarzone.wordpress.com. Also offering resource for vets at airb2bnj.com. Thanks. —What makes the grass grown green. Thanks so much, William! I’ll be putting your blog on my list. Keep speaking your Life and your Truth, and I will look forward to learning more about the work that you’re doing!